In our studio you not only try on dresses, but also have a real celebration! You can always bring out your creative potential and work out your bride’s image in collaboration with our designer. We always have a wide range of models, accessories which can help you add something new to your individual style. If you want to try on a dress, you need to phone us in advance! 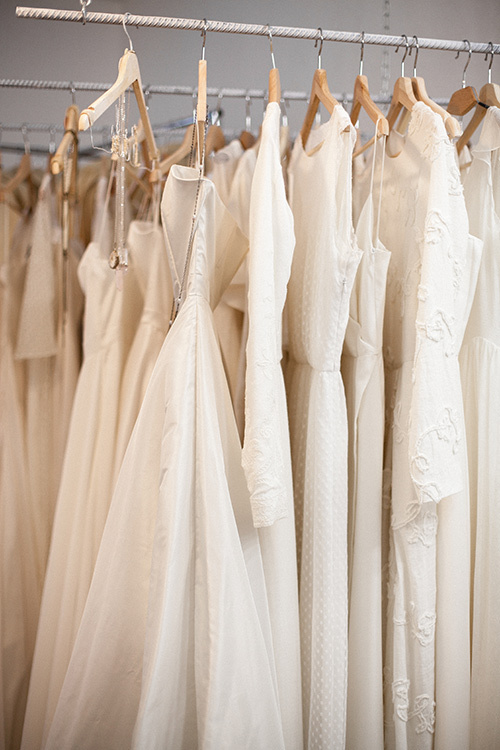 We’ve made the schedule for trying on to fit into your free time, so that you can always come to us after your workday and pick out your dress in a calm and friendly atmosphere. One hour you book in advance is completely yours! You won’t have to share the fitting room with anybody else and no one will bother you by hangers. Mind that trying on is for free!